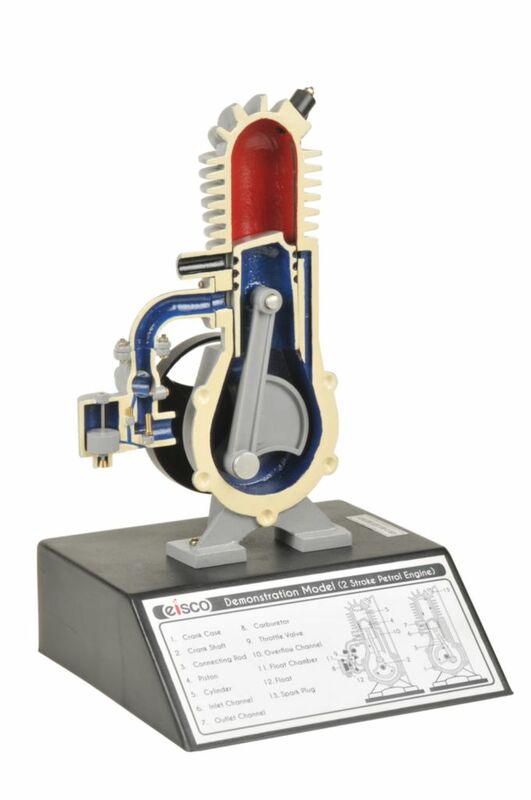 This model shows the internal structure and operating principles of an air cooled two-stroke engine. Hand powered motion supplied through a crank demonstrates the moving parts of the engine. The crank shaft and piston cycle through the stages of the two-stroke process as the hand crank is rotated. A simulated spark plug uses a small lamp to indicate the firing point. Ordering information: Lamp requires 2 AA batteries (not included).